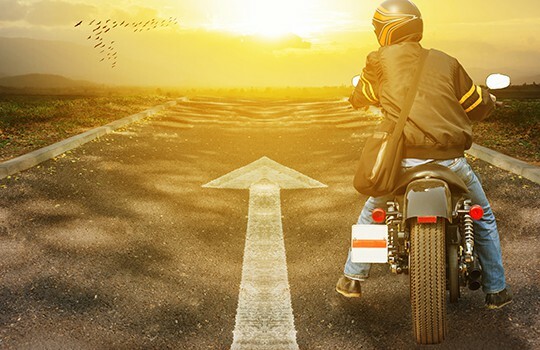 Even though the reasons to wear motorcycle glasses while riding is obvious, there are motorcycle eyewear laws that require eye protection while riding. Motorcycle eyewear protects your eyes from wind, dirt, debris and other dangerous objects. Just a small speck of dirt can virtually blind you. Harsh winds can dry out your eyes, leaving them red and irritated. When your eyes dry out, they will begin to tear. If your tears have a high salt content, your eyes will sting and will be tough to stay open. If you can’t see the road, riding a motorcycle can be extremely dangerous. It is important to choose Polycarbonate or Trivex lenses when purchasing motorycycle eyewear. All BikerArmour, Wiley X and 7 eye motorcycle sunglasses feature polycarbonate lenses. Polycarbonate is a shatter proof, impact resistant material. Helmet visors and compact discs are made of polycarbonate, so we know how tough polycarbonate is. The material is virtually unbreakable. Trivex is also shatter proof. Trivex lenses are a higher grade lenses that have higher lens clarity. Polycarbonate lenses can also be safety rated by the American National Standards Institute, or the ANSI. The standard for safety for eye wear is known as ANSI Z87.1. For glasses to be Z87.1 rated, they have to meet a specific set of standards at the time the glasses or sunglasses are manufactured. These standards establishes the criteria foor using, testing, marking, choosing and maintaining eye protection to prevent or minimize injuries from eye hazards. ANSI Z87.1 Safety rated lenses are etched at the top corner of the lens. If you are really interested in reading about the specifics of ANSI z87.1, please read this: https://www.thevisioncouncil.org/sites/default/files/TVC_ANSI_Z87-1_2015_Overview_v2.pdf. ALL lenses that are ANSI Z87.1 safety rated are stamped with some letters on the top left corner of the lens (from wearer’s perspective). Sometimes it will say Z87.1 and sometimes it won’t. There are some other letters that may appear random, but these letters are actually the initials of the optical laboratory that cut the lenses. These engraved letters is really the only way to visually tell if your lenses are ANSI safety rated or not. It is important to note that NOT all motorcycle sunglasses are ANSI Z87.1 safety rated. Just because the sunglasses are not safety rated does not mean they are not safe to wear on your motorcycle. Most glasses are safety rated because most companies that require safety glasses to be worn at work must follow the rules and standards of the ANSI. Before you purchase a pair of biker glasses, make sure the lenses are made of polycarbonate or trivex (trivex is only available in prescription eyewear), and make sure the glasses are from a trusted supplier like Bikershades.com. Most states require bikers wear eye protection at all times while riding the motorcycle. However, this does not mean the glasses have to be safety rated. As far as we can tell, the only state that requires bikers wear eyewear that is ANSI Z87.1 rated is New York. We have heard from multiple bikers in New York that they have received citations if they are not wearing the proper eyewear. NYPD will actually request you to take off your glasses so they can inspect them. If they don’t see the safety rating engraving, the will issue a citation, no questions asked. We will continue to do more research to see if other cities require ANSI Z87.1 Safety Rated eyewear. If you live in a state that requires the ANSI certification, please tell us in the comments below.